Master suite bathrooms vary significantly in size. 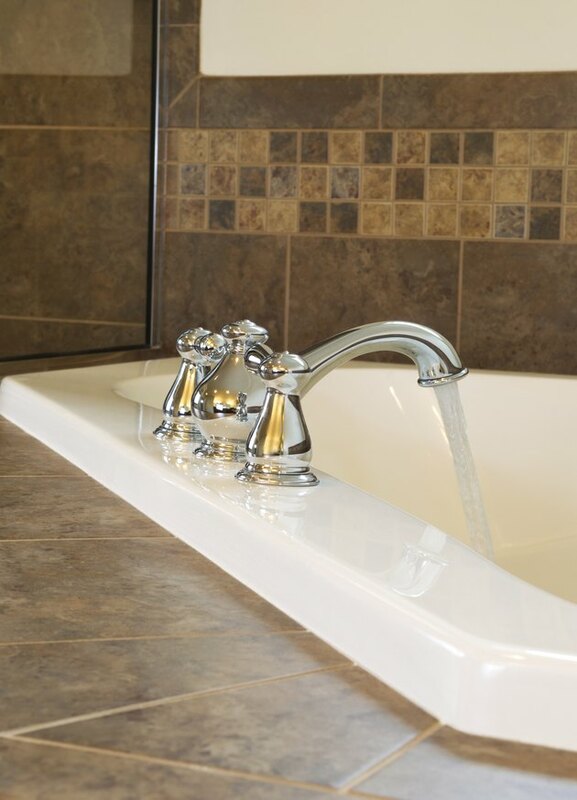 An October 2013 National Association of Home Builders article indicated that the master bathroom takes up an average of 6 percent of space in new construction properties. This percentage amounts to roughly one-third of the total size of the master bedroom suite. A dream master bath includes a tub, shower and large vanity countertops. Looking at master bathroom dimensions in houses of various sizes is helpful in selecting the appropriate dimensions in your design. The "Better Homes and Gardens" website indicates that a 9-foot-by-5-foot bathroom is typical in a smaller home. For larger properties and master suites, other standard dimensions are 11 feet by 9 feet, 10 by 12 and 12 by-13. The largest dimensions, 12 feet by 13 feet, refer to what the site calls the "Dream Bath Floor Plan." How Can I Tell Which Size Aeron Chair I Have? What Are the Standard Lengths for Dimensional Lumber? How Big Is a Double Bed? What Does Full Basement Mean?